On one of the days I’ve had to myself during the holidays, I decided to take a trip to another local market town. 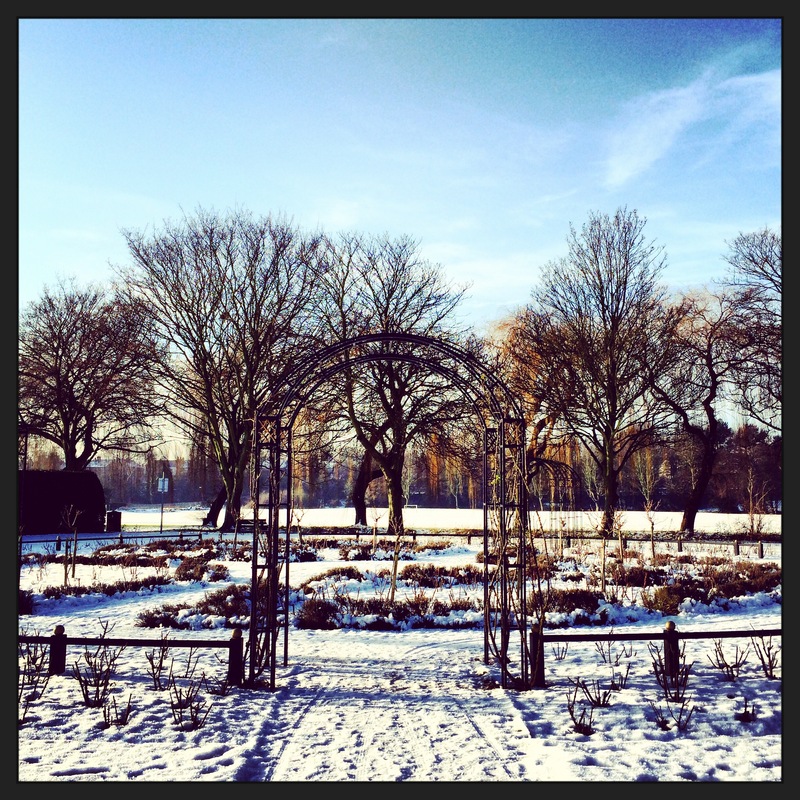 Retford is quite pretty, with a beautiful park and some fine old buildings. Like most places, the covering of snow that remained enhanced it’s charm. 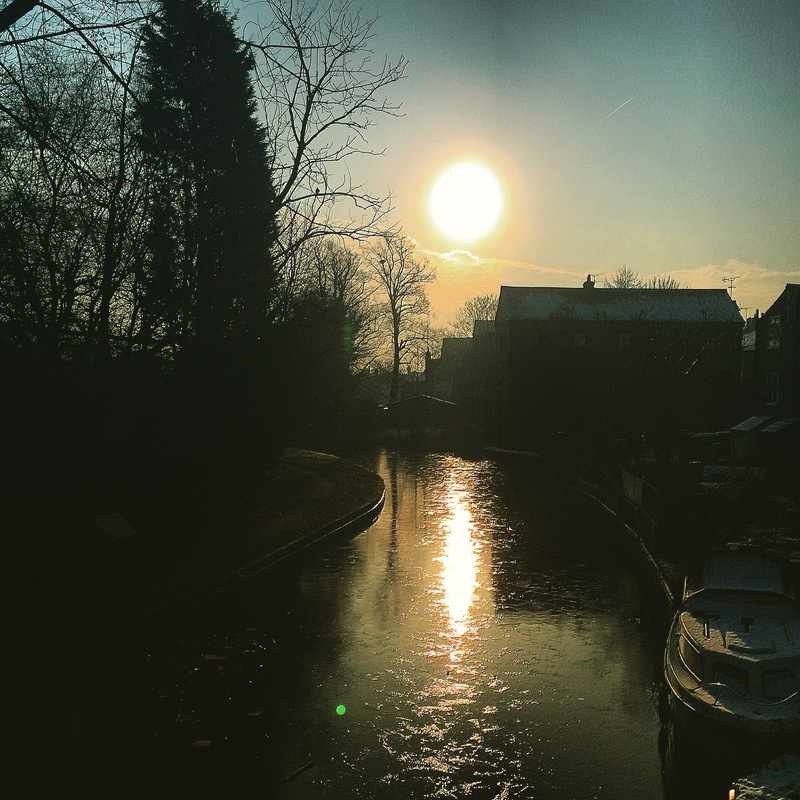 Like Worksop, Retford has a good selection of charity shops, and visiting them was the purpose of my journey. 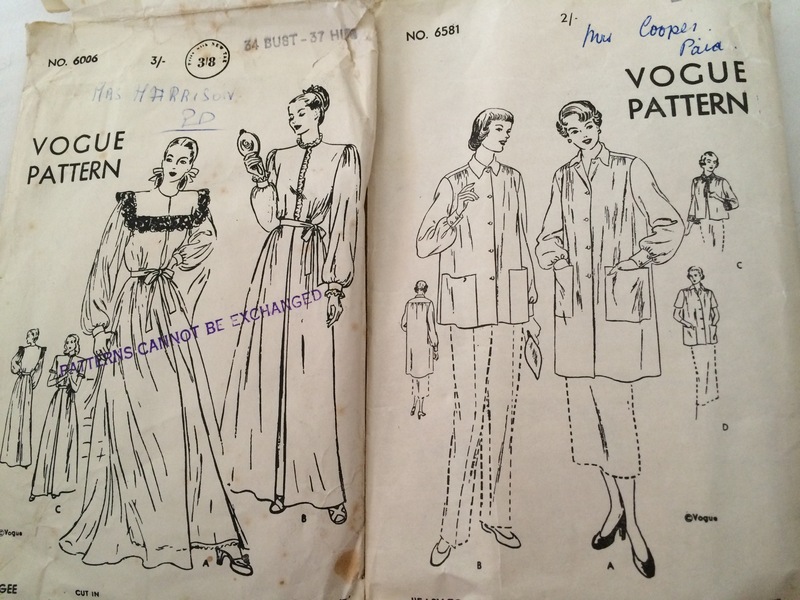 In the first two I visited, I asked the staff, doubtfully, whether they had any old sewing patterns. Both told me that whilst they did get them in, they had none at present. In the third, however, I struck gold. Or tissue paper, more accurately. 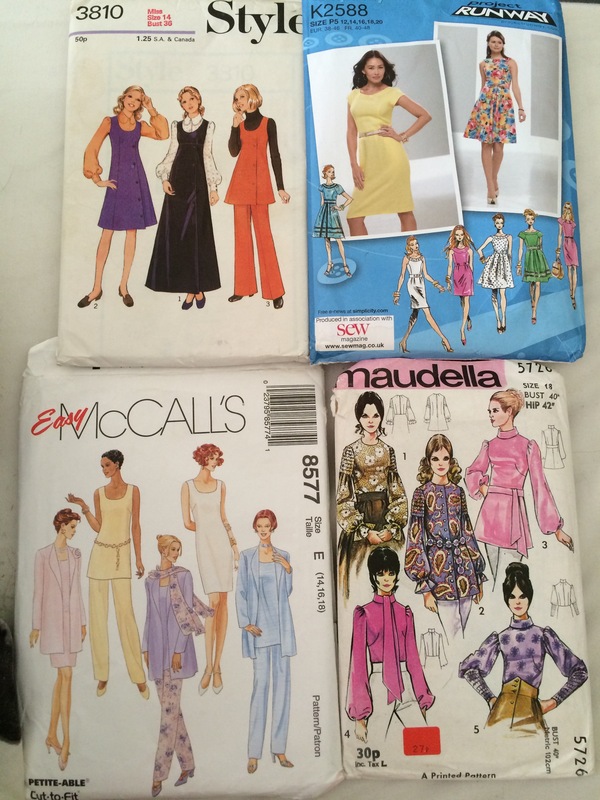 From a dark cupboard, the lady brought out a pile of patterns. I was elated! 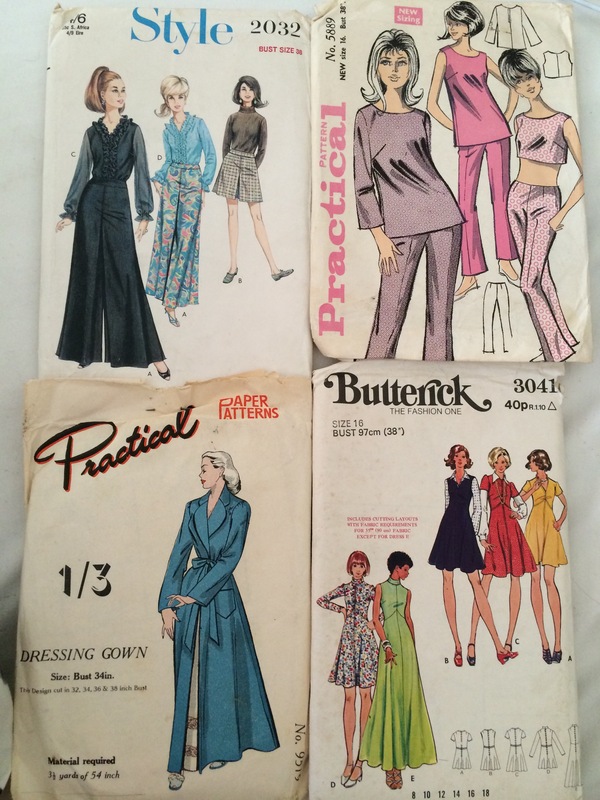 I quickly flicked through, finding a range of styles, sizes and eras. Nothing too horrific and some which really appealed. A couple of Vogue that caught my eye. As they weren’t priced, I asked how much? £1.50. For ALL of them! I said that wasn’t enough, and left £3 as I skipped out the shop. On a high, I visited three more shops, two with nothing and one from which I picked up two slightly random patterns (20p each, left 50p) of an oversized, long sleeved 80s style blouse/shirt dress, along with a decorative turkey (no typo) that reminded me instantly of Thanksgiving, and Nat in Alabama. Thirteen patterns for £3.50, none of which I would have found had I not bothered to ask. Has anyone else had luck like this in charity shops? Which do you like, and which do you think I should or could attempt first? I like the Runway pattern, top right. 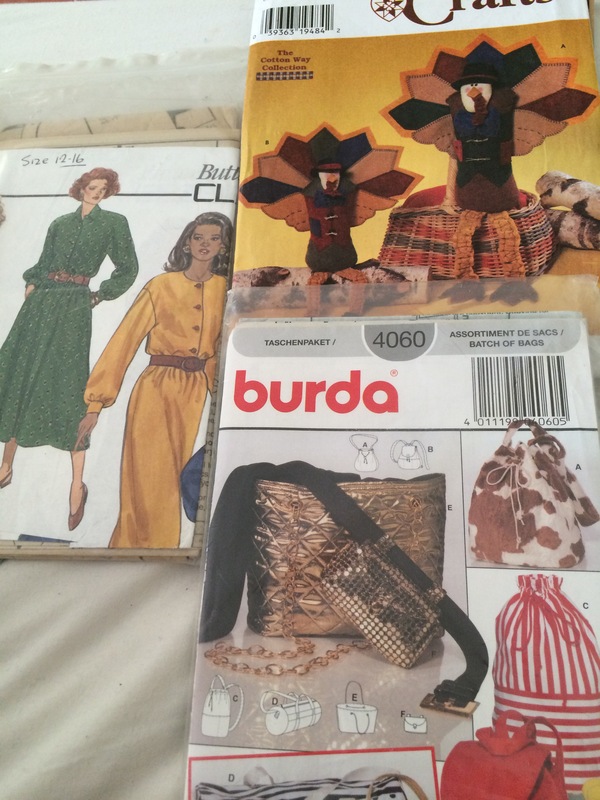 My brother collects sewing patterns and we usually get one or two when we are out looking in the charity shops. I LOVE charity shops. I like that one too! Or in some kind of velvet it would be very luxurious, and retro! I just wish we had more second hand stores around here. I do make some good finds when i am in certain shops at the right time, but its not often enough for me. Even if i dont make them up, i love looking at the different styles! Lucky you! Thank you, that is so sweet of you 🙂 Happy New Year!